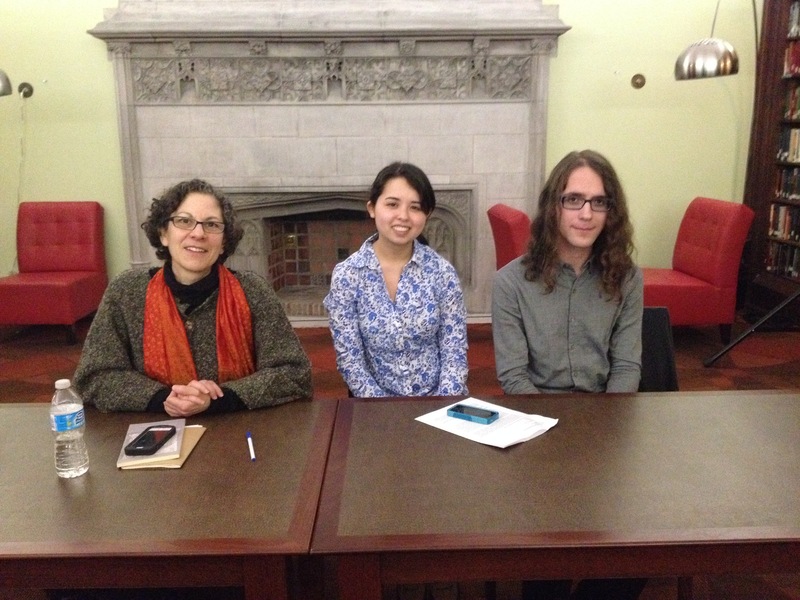 Last Thursday I went to Flourish, Publish: Literary Publication Panel hosted by Echolocation, Hart House Review, and the Poet-in-Community at UofT. The panel consisted of Laura Ritland and Adam Zachery, the respective editors of Echolocation and Hart House Review, and Ronna Bloom, the Poet-in-Community at U of T. They each gave some insight on how publishing in literary journals works, then opened the floor to questions. I have been interested in writing and publishing my writing since I began my undergrad. However, my first couple of years at U of T were very discouraging because I focused too much on my courses to the detriment of my life. I didn’t believe that there were opportunities available on campus. It was only in the past year that I began to connect with the disparate resources on campus. This year I applied to one of the many courses in creative writing offered at U of T, in particular the one offered though the writer-in-residence. I didn’t make it. In any case, I am glad to have discovered the many creative writing courses offered at U of T for undergraduates, since that is something that I want to pursue. The Flourish, Publish panel appealed to me because it revealed yet another opportunity. The panel spoke about literary journals as a community of artists; perhaps a competitive community, but a community nonetheless. This comes as a relief to me, having originally come to UofT without a sense of community in writing. The panel also spoke about the submission process. It is imperative to understand the material that each literary journal prints and represents before submitting work, since each journal is a community. And since each journal is a community, it is important to not totally disregard a journal because it is not prestigious or lucrative enough to publish there. Engaging with fellow artists is more important than status and pay, especially when you are just beginning. But for the most part, submission is easy. Research the periodical, determine if your work suits it, follow the submission process to the letter, be professional, and send out the best you have. Afterwards, Ronna Bloom offered her experience as a published poet. She shared her writing process and her understanding of her poetry with us. Ronna Bloom, in the capacity of the Poet-in-Community, offers several workshops such as the recurring “Write Now!”, a drop-in writing workshop. Write Now! meets three times a week and is essentially an expectations free writing session run by peer mentors. In short, I am happy to have found a community of writers at UofT. I don’t think I’m alone on having burned out early into my undergrad and only later discovered the opportunities available at UofT beyond the classroom. Finally, if you are interested, Echolocation is accepting submissions.